The Voyage of the Beagle, published in 1839, recounted the global, five-year scientific expedition of HMS Beagle, during which Charles Darwin famously spent five weeks in the Galápagos. 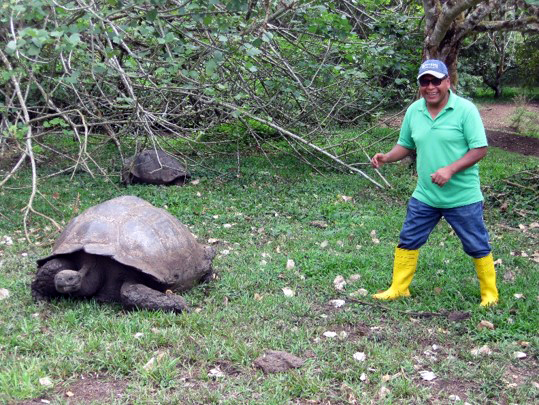 Research specialist Abel Vega approaches a giant tortoise during a visit to the Galápagos Islands. Amid his observations and collections, Darwin noted that mockingbirds, finches and tortoises differed from island to island. These facts contributed to the development of his groundbreaking theory of evolution by natural selection, presented in his 1859 book, On the Origin of Species. Throughout history, humans have been captivated and fascinated by the radical, big-picture theories that stake a signpost in the infinite wonder of existence. The true nature of scientific advancement, however, is grounded in the tiny steps of evidence-based research. Researchers use a method of inquiry based on systematic observation and measurable evidence, subject to specific principles of reasoning. From that platform, they formulate, test, and modify their hypotheses. That is how reality ultimately receives a jolt. It was in the interest of fundamental, boots-on-the-ground science that a team of Missouri scientists and veterinarians dispatched to the Galápagos in October 2016. The visit was conceived based on a conversation with Patricia Parker, PhD, at the University of Missouri–St. Louis. Parker, an evolutionary biologist and endowed professor in zoological studies, is a notable Galápagos investigator. Her avian research in the Galápagos has resulted in nearly 100 scientific papers and 15 book chapters. 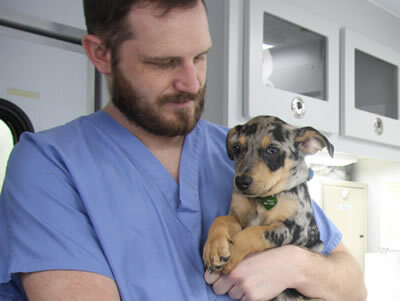 Parker also serves as senior scientist at the St. Louis Zoo. “Dr. Parker has been conducting research in the Galápagos for years,” Middleton says. “She is a friend of Dr. Marilyn Cruz, executive director of the ABG. Some work they had been doing on disease surveillance in their cattle population led Dr. Cruz to ask Dr. Parker if she knew somebody in the U.S., possibly affiliated with the university, who could help with these livestock diseases.”The Galápagos archipelago consists of 16 islands with a population of 20,000 people and 30,000 cattle. The islands have prohibited the importation of livestock since 1989, so the health of native livestock herds is essential. 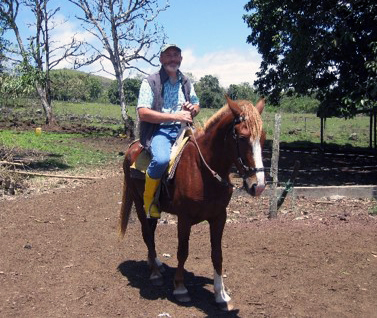 The humans are citizens of Ecuador; the cattle tend to be Brown Swiss, Holsteins, and Jerseys. CVM Professor John Middleton served as a liaison between the farms and research under way in the lab. “So, there were actually two aspects to our visit: to have our team work with their diagnostic lab to look at how they can improve diagnostic testing capacity, and to understand the livestock population and how the livestock are managed,” according to Middleton. Middleton, DVM, PhD, DACVIM; Michael Zhang, associate clinical professor of biomedical sciences and leader of the serology section of the Veterinary Medical Diagnostic Laboratory (VMDL); and Abel Vega, MS, a research specialist in the avian section of the VMDL, made up the Mizzou contingent to the island of Santa Cruz in the Galápagos. Parker’s PhD candidate, Samoa Asigau, represented the University of Missouri–St. Louis. Asigau was making her fourth trip to the Galápagos. The natural division of labor found Middleton working mainly in the field, while the remainder of the team primarily utilized their expertise in the lab. 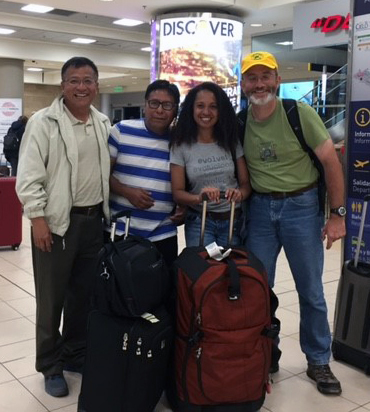 Michael Zhang, Abel Vega, Samoa Asigau, John Middleton prepare to depart the Galápagos from Seymour Airport on the island of Baltra. Abel Vega filled several roles for the team. A native of Bolivia, he speaks Spanish fluently. The two diseases the team specifically focused on were infectious bovine rhinotracheitis (IBR) and bovine viral diarrhea (BVD). IBR is a respiratory disease of cattle caused by bovine herpesvirus 1. It is characterized by acute inflammation of the upper respiratory tract. Disease outbreaks can result in severe production losses, abortion and mortality, so a BoHV-1 infection can cause significant economic losses to cattle producers. BVD can cause a number of different disease manifestations from inapparent persistent infection to fulminant enteritis and thus has a significant impact on animal health and the farm economy. The hope and the help came to fruition in March. A team of five Ecuadorian scientists and veterinarians left their sunny, equatorial clime to visit cold, snowy Missouri. The group spent several days on the UMSL campus with Parker and Asigau, and then braved I-70 to Columbia. 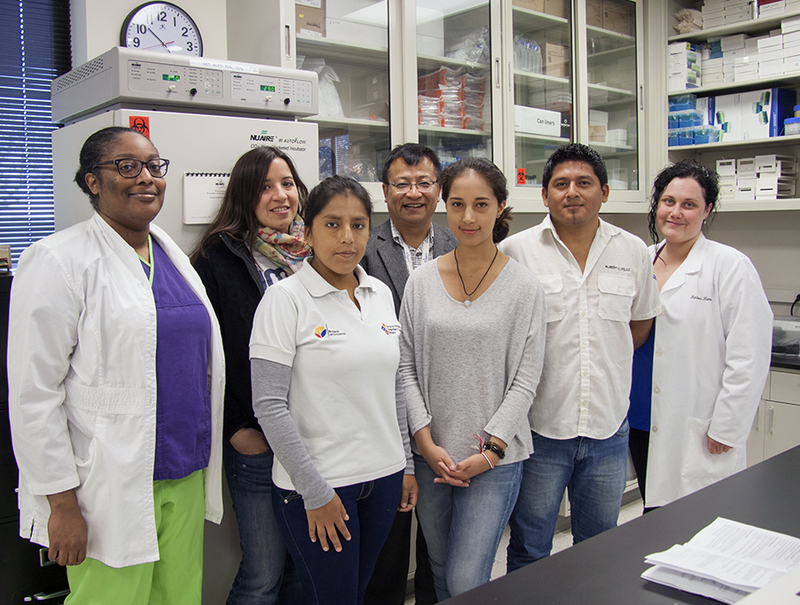 (From left) MU Veterinary Medical Diagnostic Laboratory (VMDL) research specialist LaToyia Sly, UMSL grad student and translator Patricia Mendoza Becerra, ABG microbiologist Paulina Castillo, VMDL serology section head Michael Zhang, ABG biologist Erika Guerrero Vásquez, AGB lab team leader Alberto Vélez, and serology research specialist Amber Mann at the VMDL. “We are very happy with our takeaway from this week,” Vélez said, with Mendoza serving as his interpreter. “Our visit to the Columbia facilities have two main purposes. One has been to get to know the place and its infrastructure. In the future, that is going to be very helpful for the improvement of the buildings we have back in the Galápagos.